Ghostface Killah's latest effort, 36 Seasons, is a concert album, and now he's recruited a noted TV actor to help him bring the narrative to life: Michael K. Williams of The Wire and Boardwalk Empire, who stars in the new video for "Love Don't Live Here." Williams appears as a heartbroken Romeo in this song about attempted romantic reconciliation. He swings by his girlfriend's house, but finds that she's moved on since he's been away, and this leads to a confrontation with her new man — one that has very serious consequences. 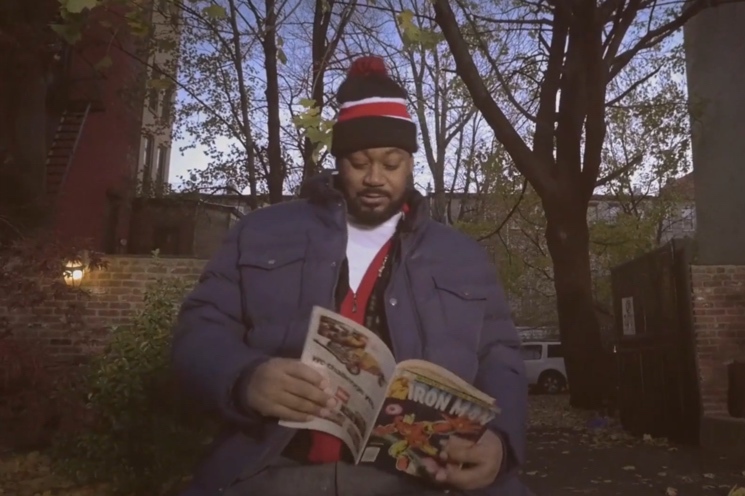 Meanwhile, Ghostface raps for the camera and pours over an Iron Man comic. Watch it below, courtesy of Complex. Ghosty's 36 Seasons came out earlier this month through Salvation/Tommy Boy.